The last post was my 100th entry on Rolling in the D (it was supposed to be this one, but I didn’t get it finished in time, and forgot that I had already scheduled that Wordless Wednesday funny to go up. Sigh). I want to thank all of you for reading, for encouraging, for supporting, and for just being a friend (cue the Golden Girls theme). When I started this blog, I honestly didn’t know how long I’d be able to commit to it; I think I read somewhere that three months is the average lifespan of a blog. But I’m now into my seventh month! I suppose you could say that I’ve beaten the odds; and that feels nice. Your comments and feedback keep me motivated, so please keep ’em coming! And thank you. (Some administrative stuff: I’ve recently changed the “About RITD” link at the top to “Who am I?”, consistent with the way the blog evolved from how I originally planned it. I always like to read about the writer when I visit other blogs, so it just makes sense. Also, I’ve been consistently updating the Blog-Roll. If you see any errors or omissions, let me know and I’ll get that straightened out! Finally, I plan to make some cosmetic changes in the weeks to come… stay tuned). 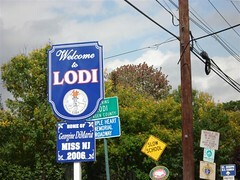 I don’t live in Lodi, but I’m not far. Anyway, I’ve written a century of posts and six months, and I’ve never met a single one of you in person! That’s where the title of this blog comes in. I think it’s about time that I meet some of (as we say in New Jersey) “youse guys”. I’ve never been to FFL, AADE, ADA, RDS, or any of those other D-meetups* that result in a barrage of blog disclosures and Twitter hashtags, but I do spend a of time in NNJ and NYC (Northern New Jersey and New York City). I know there are plenty of you out there in the same place, and I’ve already gotten a couple of “why haven’t we met yet?” inquiries, so how about it? I don’t know a thing about planning events, and I stink when it comes to coordinating things. Add the fact that we’re PWD’s when trying to pick a venue, and that makes it all the more difficult. Where do people with diabetes gather to socialize? Something tells me that a bar in Hoboken is highly inappropriate (even though we’d all probably go on our own, hopefully with a pocketful of glucose tabs and test strips). The only gathering place in Lodi (which is actually about a half-hour east of me) is the establishment of questionable morals where Tony Soprano used to frequent, and that’s out of the question, too. I only bring that up because it’s the title of this post and of a catchy song, but not a particularly lovely place. So where, then? Chelsea Piers? Central Park? Morristown? Nyack? Would it be a weekday-after-work thing, or a weekend-type gathering? Would anyone be interested? Would anyone come? Let’s start a discussion here, and maybe we can finally know each other by more than profile pics or You Can Do This videos. If you’re coming from afar, I’m sorry that I can’t cover your airfare, hotel, or other expenses. But if you’re compelled to write a disclosure, I can offer you a spot on my pull-out sofa-bed (first-come-first-served), a cup of coffee from my beloved Keurig machine, and I’ll even buy you a Sugar-free Slurpee. Let’s see if us locals can plan something in the comments below. Or, if you’re not a local (or are just not particularly social), chime in too and tell me what kind of place you think makes for a good D-meetup. Because I’ve never been to any, and you surely haven’t been to less than that. * Please don’t read into this sentence and think there is any bitterness behind it. There’s not. Being at home, where my wife and kids are the first people I see when I wake up and the last ones I see before I got to bed, is a blessing for me. When that’s not a part of my day, something is missing. 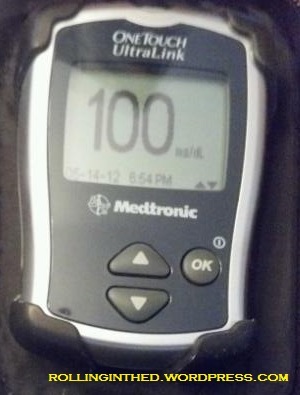 Posted on August 9, 2012, in Diabetes. Bookmark the permalink. 10 Comments. You know, you’re right – I do need to let you know when I’m in your area. Thing is, when I’m there I never have time to kill… it was for my high school reunion, or to visit my folks. I put a request into St. Peter’s Medical Center to get my original diagnosis records, and if they ask me to come down, I’ll find time to do it. But I’ll gladly make the trip there if I have a reason. I had no idea about the Morris Arboretum – I’ll need to look it up – but are there really DOC’ers around here that would go? In New Jersey, I only know of three or four (us included). Expand the field to NYC, or move the venue to a transit-friendly place (like Hoboken), and maybe we can find a few more. I admitted I stink at organizing these things, so I really just wanted to get some ideas/gauge interest at this point. I hate to host a party where nobody comes. Scott, I would be interested in coming up if I can make it fit with my schedule. My nephew mentioned something about Jersey City getting some recent makeovers. It’s not as glamorous at Weehauken, but what is? Seriously, I would be willing to go into NYC if that works too. At any rate, good luck with the planning and meetup! Thanks Stephen. You’re from Maryland, right? Sounds like a hike! Jersey City has some nicer parts, but those are mostly business-oriented (Exchange Place) or residential (Newport). That’s based on my limited view of JC.. I’m not quite sure what would be suitable for a meeting place. AFAIK, there’s nothing in Weehawken other than the Lincoln Tunnel and a ferry to Manhattan. But I’ll definitely keep you in the loop if things develop. Hey Scott! I love this post and would love to do a meet-up! I just put up a post about the JDRF NYC walk (September 30th). I would LOVE to have you and your family join us. We meet up in NYC and then regroup in Brooklyn and have some snacks and a team photo. Afterward, we grab sandwiches with the JDRF crew and then head to a bar/restaurant for more eats (this is sounding more like a food fest than a walk). The bar/restaurant part really revolves around football since my family is mildly sports obsessed.